Welcome back everyone! 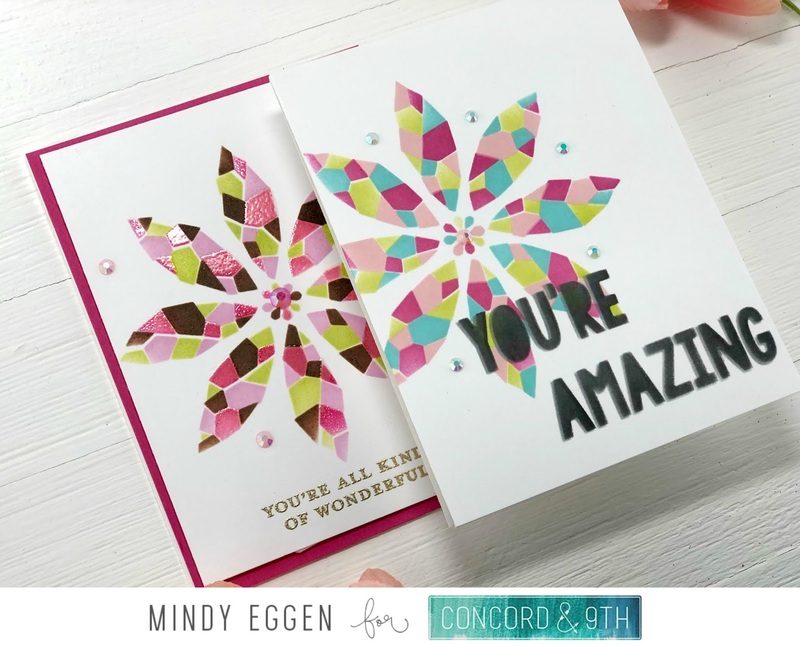 Today is Feature Friday over at Concord & 9th and we are featuring the Faceted Stencil and Stitched Turnabout stamp set. These are so much fun to play with! I have a video showing how I used these two sets that you can view down below or HERE on my Youtube Channel. My first card is using the Faceted Stencil. I was able to get two cards from one background. Using the full background stencil, I applied Passionate Pink, Bubblegum Pink, Dusty Rose and Key Lime ink. Once the ink was dry, I spritzed Sparkle Shimmer Spritz to the entire background. For a little more sparkle, using the stencil I applied Bo Bunny Sugar Glitter Paste. Once dry, I die cut a circle using the Birthday Basics die. My sentiment that I heat embossed with Silver Embossing Powder on Black Card Stock comes from the Everday Bouquet Turnabout Kit. I also die cut some of the elements from the kit using white card stock to add around my decorative circle piece. I finished off with some jewels from the Valentine Jewel mix. My second card is using the piece I die cut the circle from. I had trimmed the panel down and attached to a piece of Dusty Rose card stock using foam tape. Then added to a white card base. I die cut the word THANKS three times from white cardstock and layered them with liquid glue. Then added to the center of my circle. 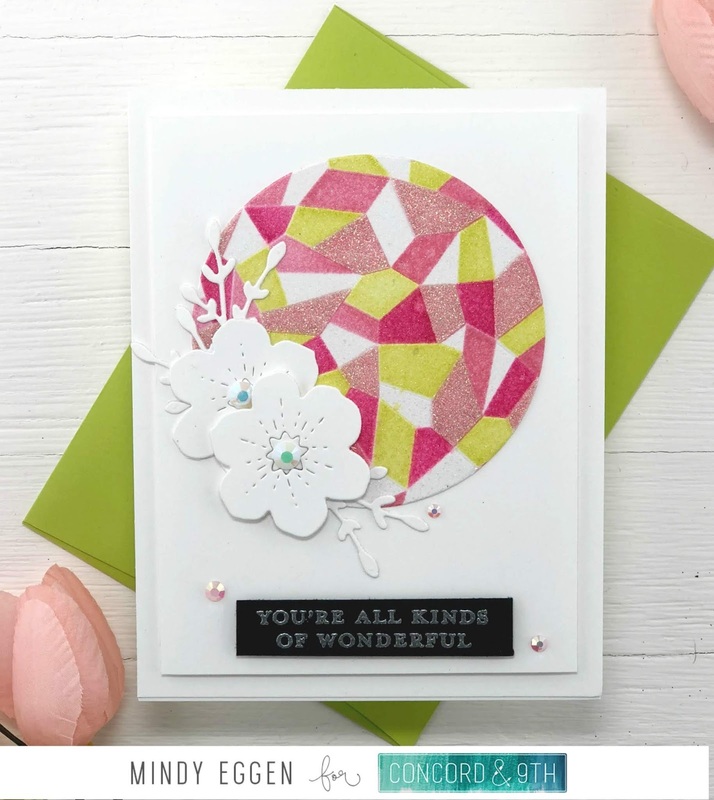 This next card is using the second stencil from the Faceted Stencil set. 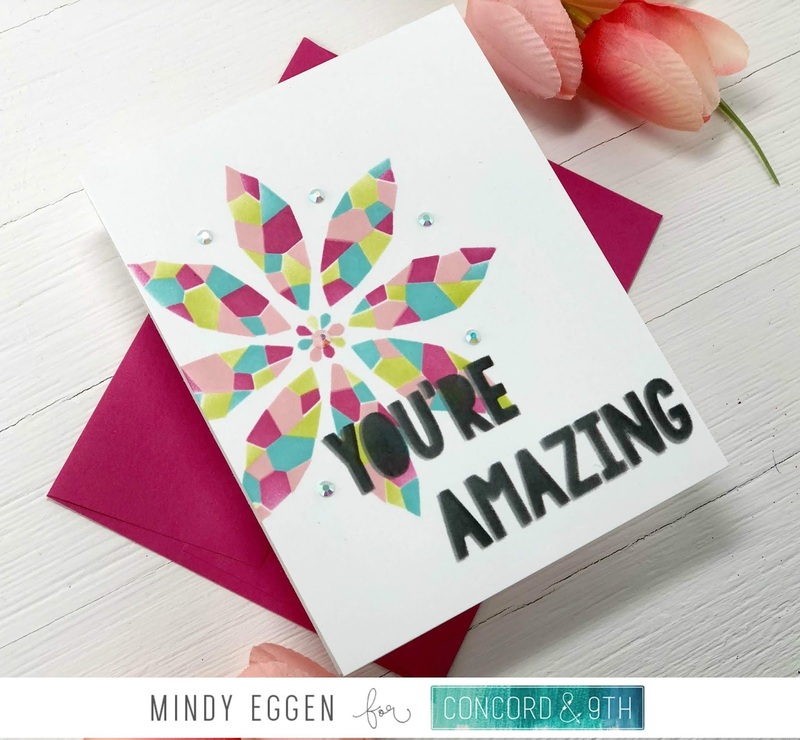 It creates this gorgeous design that you can center on your card or put off on the side like I did below. 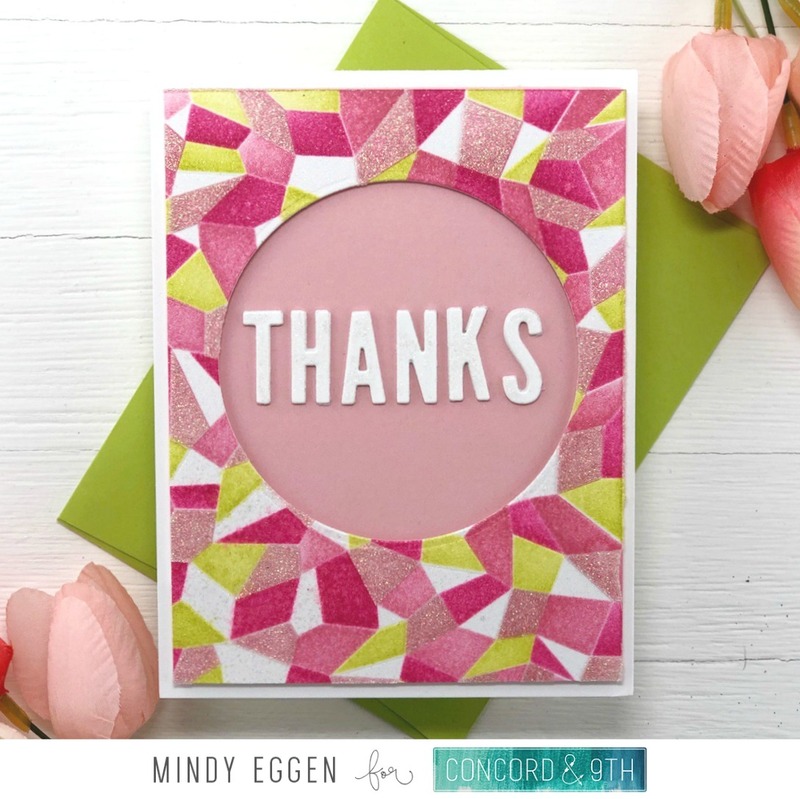 I used Passionate Pink, Bubblegum Pink, Sea Glass and Key Lime inks to create my design. The sentiment is also a part of the stencil and I added that to my card front using Black Onyx Ink. For a finishing touch, I added Sea Glass jewels between the petals of the design. This next card, I centered the design. I used Passionate Pink, Bubblegum Pink, Key Lime and Warm Cocoa inks. I then applied Versamark over one of the colors using the stencil and sprinkled with clear embossing powder. I heat set for one of my stenciled areas is nice and shiny. My sentiment is from the Everyday Bouquet Tool Kit. I heat embossed it with Gold Embossing powder at the bottom of the card. Then added some jewels from the Valentine Jewel mix. I attached to an A2 size card base I created from Passionate Pink card stock. 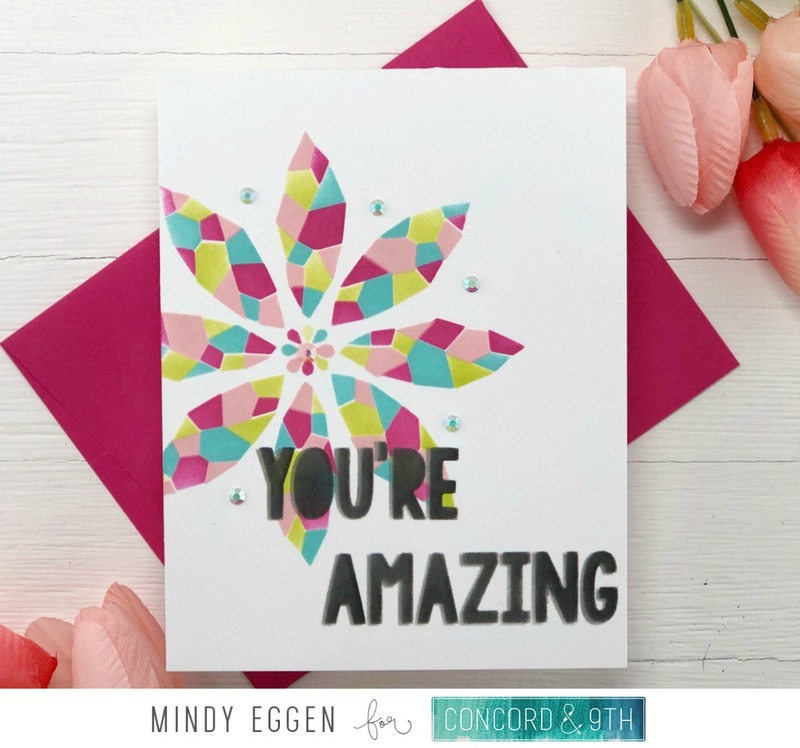 Just think of all the gorgeous color combinations you could use on these stencils! The next feature item is the Stitched Turnabout stamp set. This is a bonus stamp to me because you either stamp just the middle, just the outer edge or both at once. 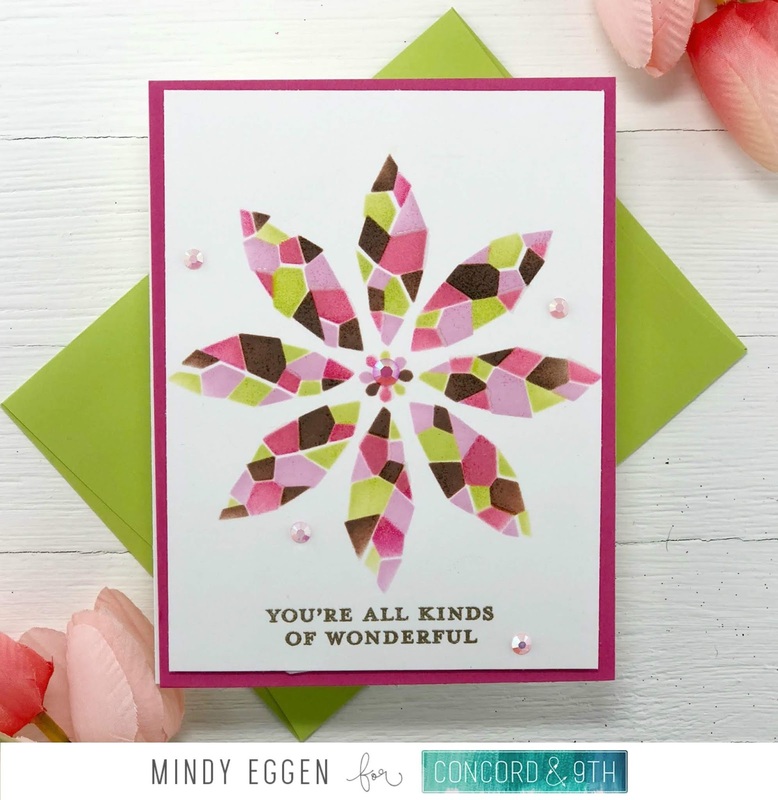 Here I used Passionate Pink, Fresh Asparagus, Dusty Rose and Jelly Bean Green inks. This creates such a beautiful pattern in the middle. 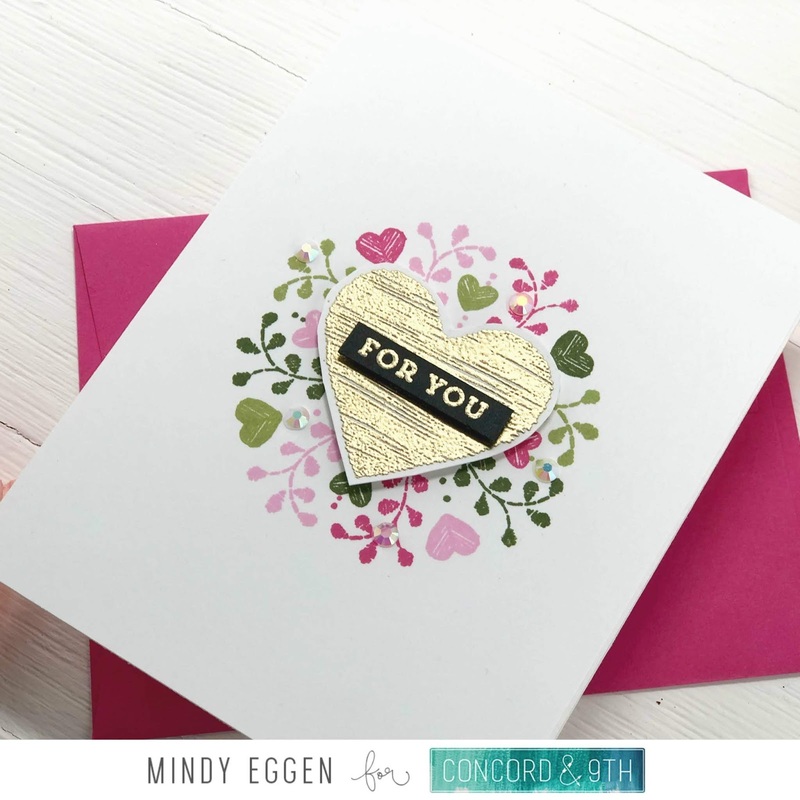 I heat embossed the heart using Gold Embossing powder and fussy cut it out to add to the middle of my card with foam squares. I also heat embossed this small sentiment on to black card stock and added to the middle of the heart. I finished off the card with a few jewels around my design. I adore this design. So simple and beautiful. My last card is also using the Stitched Turnabout stamp set. I stamped the big background in Versamark ink on Ivory card stock and heat embossed with Gold Embossing powder. I love the look of Ivory on White so I attached to a white A2 card base. I die cut a cute using white card stock and stamped this beautiful sentiment from the Stitched Turnabout stamp set. I think this would make a great wedding or anniversary card. 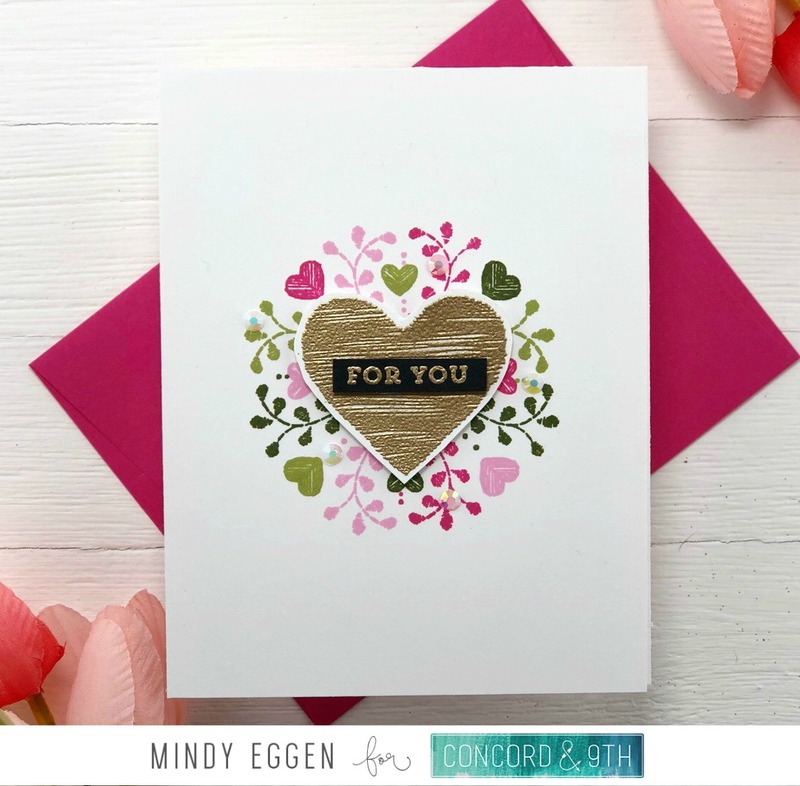 I also used some elements from the Everyday Bouquet Tool kit to embellish around the heart. 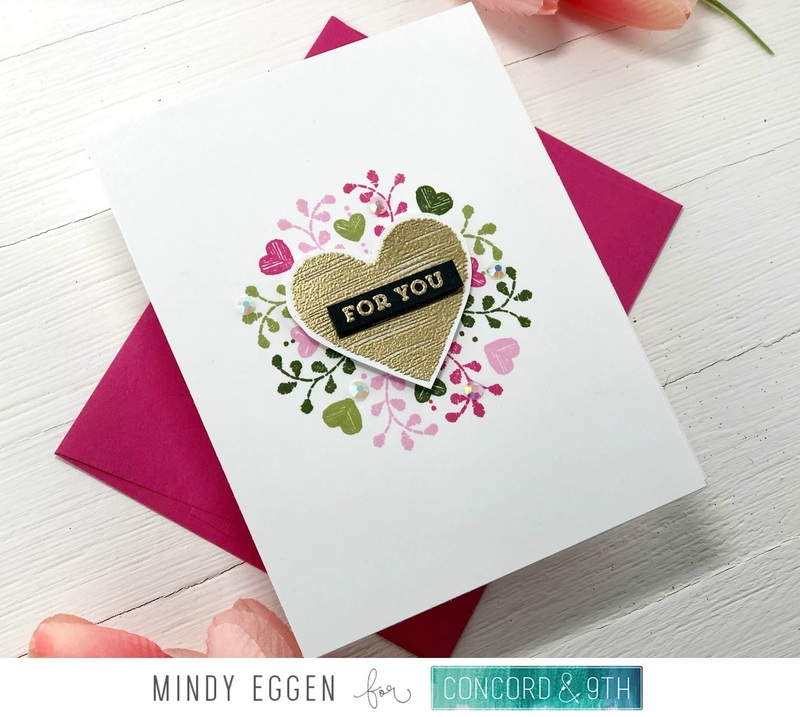 Finishing off with a few jewels from the Valentine Jewel pack adds some great sparkle to the card. 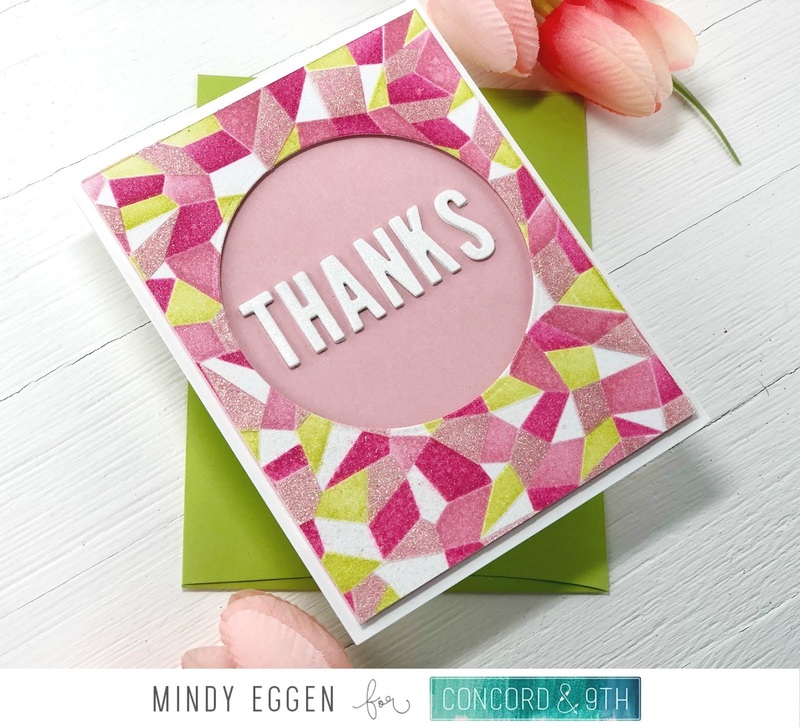 I hope you enjoyed today’s inspiration using the Faceted Stencil and Stitched Turnabout set. Be sure to check out my video HERE to see them in action. Affiliate links may be used at no additional cost to you. Thank you for your continued support.